Yes, pick up was seamless. In fact the whole trip was faultless. We soon cleared up the confusion with Ruby. Such a nice lady. In fact all the staff and guides were fantastic and very friendly with it. Its a great set up at Casa Viejo Chac. Nev and I were the only clients last week and they gave us a room each. We were told that the lodge is now closed until November and the guides will transfer to the Eco Tour Boats. I guess that the Americans are now concentrating on trout. The weather could not have been better, 35c and clear skies while it would appear that Cuba and the Bahamas were suffering from storms. 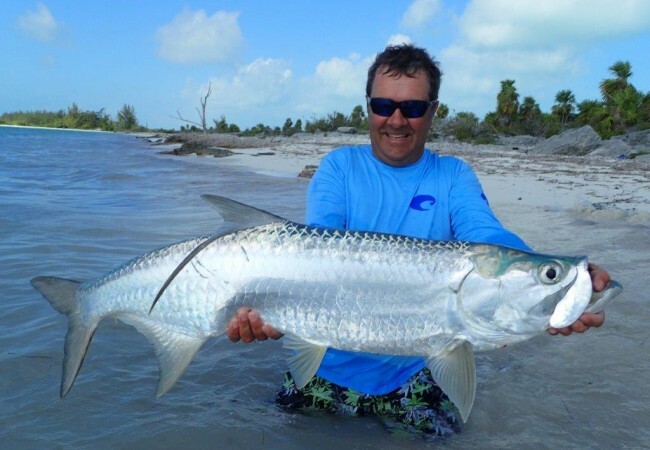 I fished Punta Allen a few years ago from a different lodge, hosted by Gavin Hodgson. 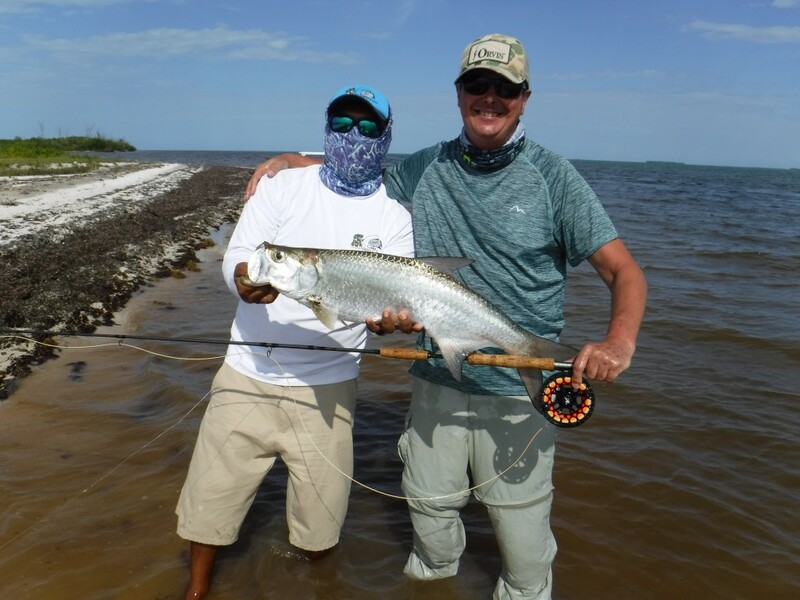 I must admit that we became fixated on permit and probably missed out on some superb bonefish locations as a consequence. 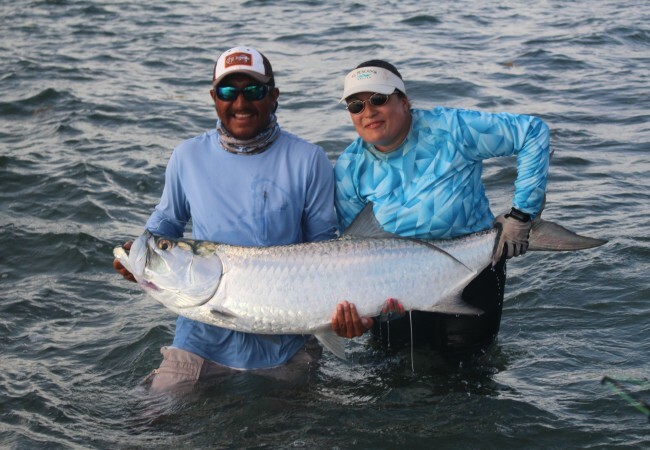 This trip I asked the guides for their advice as to the best fishing each day and went with their suggestion. 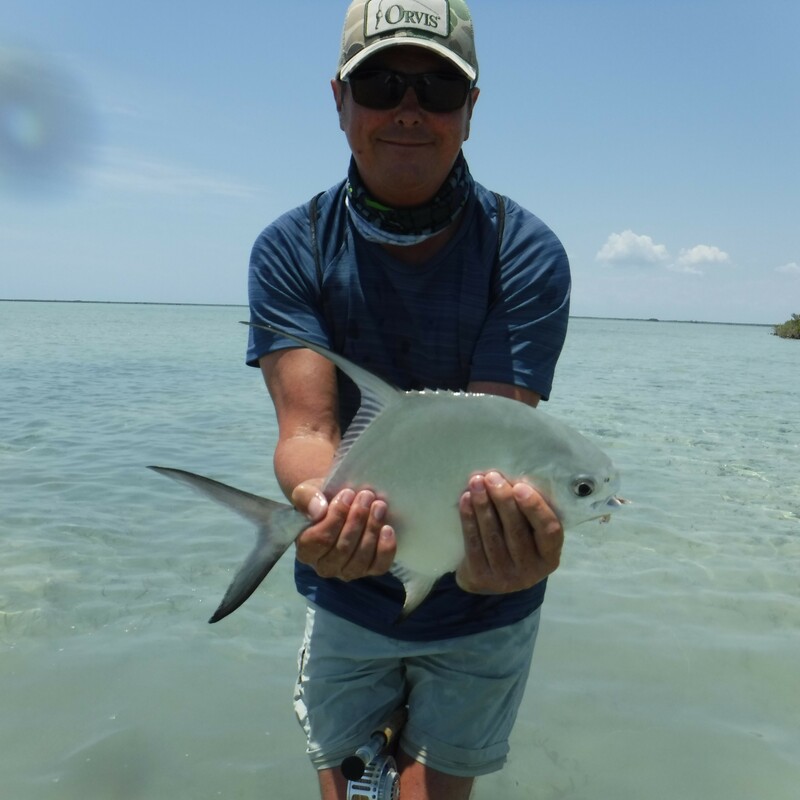 They took us to some fabulous marks with clear, shallow water over white sand, where there was always the chance of bumping into a permit. In fact my first cast was to a nice big permit with my 6wt. Unfortunately the leader was tipped with a 10lb extension and snapped on the first run. Bumped into some nice schools of permit in the 4-6lb range which were great fun on the 6wt. Managed to land one before loosing another on the next cast. Funnily enough all the permit I connected with this trip(and my previous one)have taken gotchas with pink legs. 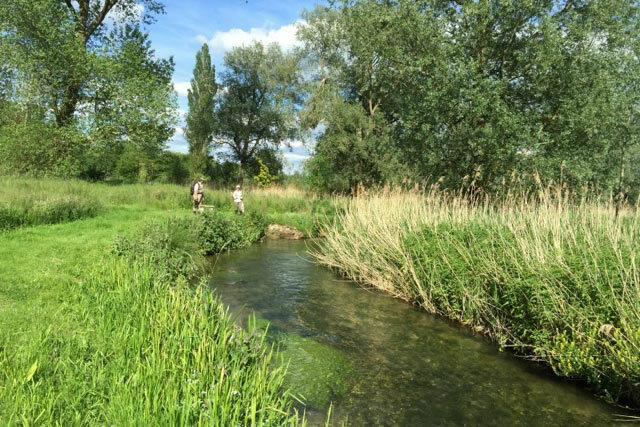 The bones proved more tricky to tempt than the Cuban fish but there were opportunities for big baskets and the occasional groups of 4-6lb fish which ran like the devil. Its not just the permit who had a taste for shrimp patterns. 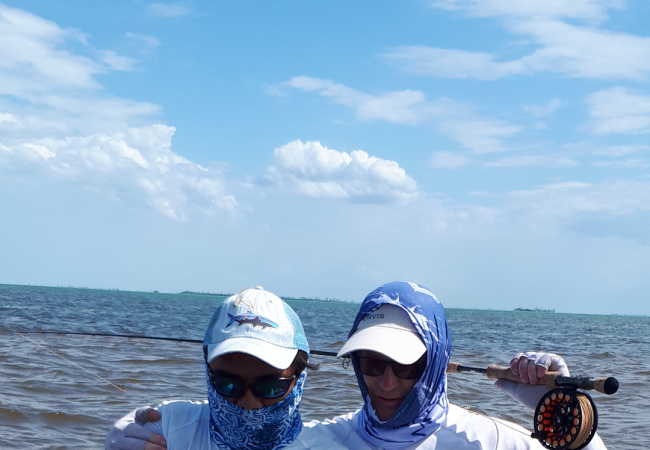 The guide looked at our tarpon flies and seemed unimpressed. He arranged to meet us at 6am the following morning to tie some shrimp patterns for tarpon. Next afternoon Nev bagged his first tarpon, a 30lb fish and I was rolled by a 40lb’r before connecting with a spritely 12lb fish. Great fun and both fish caught a few feet from the beach, on the guides freshly tied shrimp flies. The food, accommodation and standard of guiding were first class. Nev enjoyed the trip immensely and says he will return. I have attached a few photos to this email and a second one to follow. Thanks again for a superb trip and I would love to return, hopefully with a few friends, to help support the lodge.